Playtech is one of the world leaders in online casino software. The group was founded in 1999, and has been offering online casino games since 2001. The group’s adventures in the mobile casino gambling industry began much more recently, but their mobile software platform is already becoming quite popular. Playtech mobile casinos are designed for older phones, including most handhelds manufactured during the last decade, but some of their games are also compatible with high-end mobile devices like the Apple iPhone and Google Android phones. As the popularity of mobile gambling increases, the compatibility of Playtech mobile casinos is sure to grow. 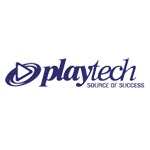 The game library provided by Playtech mobile software is one of the largest in the industry. At last count there were more than a dozen Playtech mobile casino games available, including mobile slots, video poker, bingo, keno, blackjack, baccarat, roulette, and more. The games have been designed specifically for use on mobile phones, but many have been modeled after some of the more popular Playtech online casino games. 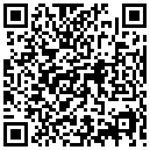 Use the links below to find casinos that offer Playtech mobile casino games, and to sign up a new real money account. Powered by Playtech, Casino Las Vegas Mobile gives users lots of reasons to get excited. All new players will receive a welcome bonus up to €100 on the first deposit. Ten great games are waiting to be played inside, including some great video slots and a nice-looking classic blackjack.